Beach Colony Resort - Summer 35% Off! 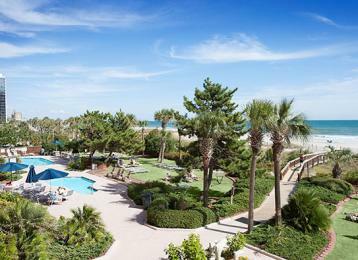 Save up to 35% off your summer vacation at the beautiful Beach Colony Resort! Enjoy the relaxing oceanfront lawn, indoor pool and whirlpool, outdoor lazy river, outdoor pools, easy beach access, on-site oceanfront dining, poolside bar, racquetball court, free Wi-Fi and so much more. Accommodation options range from studios to four bedroom condos. For more information call (855) 400-4731. Oceanfront resort offering fabulous one - bedroom suites to two, three and four-bedroom condos and an unbeatable collection of resort amenities. Enjoy indoor/outdoor pools and whirlpools, lazy river, wireless Internet, free racquetball court, oceanfront cafe and more.